We’ve all been in a situation where we need a cab, no matter where we live. Calling one is easy, but finding a cab company that has availability for when you need one is a whole other story. In steps Cab Dialer, which gives you one single phone number to store and call for your location, and handles the rest. 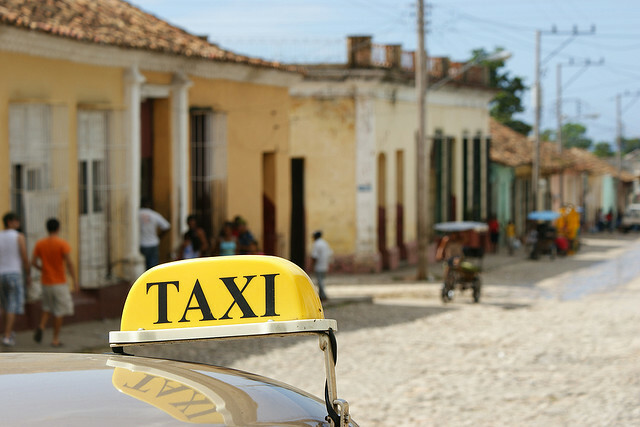 The service will call all of the major cab companies in your area, skipping the ones that have a busy signal. In a pinch, Cab Dialer can save you from standing on a rainy corner googling for every cab number in existence. Here’s a hilarious video explaining the service, showing one of those “We need a cab” situations that we’ve all seen in “Jersey Shore”. Cab Dialer provides one phone number for each major city, and uses a database of cab companies curated from sites like Yelp!. If you’ve ever tried to call a cab on a Friday night in San Francisco, you know that most numbers you call are either disconnected or busy. Cab Dialer always picks up the phone. The service will automatically skip busy numbers, and announces which cab service it’s contacting next. If you’re not a fan of them, simply hit the * button, and it will jump to the next one. Right now, Cab Dialer is available in California, Colorado, Illinois, Iowa, Nebraska, Nevada, New York, Ohio, Texas, Washington, and Wisconsin. Hopefully it will expand once it becomes more popular. One of the coolest parts about the service, is that it tweets every time someone calls and successfully gets a cab sent to them. This is actually fun to follow in a slightly creepy but not quite stalkerish kind of way. It doesn’t tweet your number, but the area code from which you’re calling. Even if you’re not a cab person, grabbing your local Cab Dialer number could help you out the next time you’re stuck and need a ride.